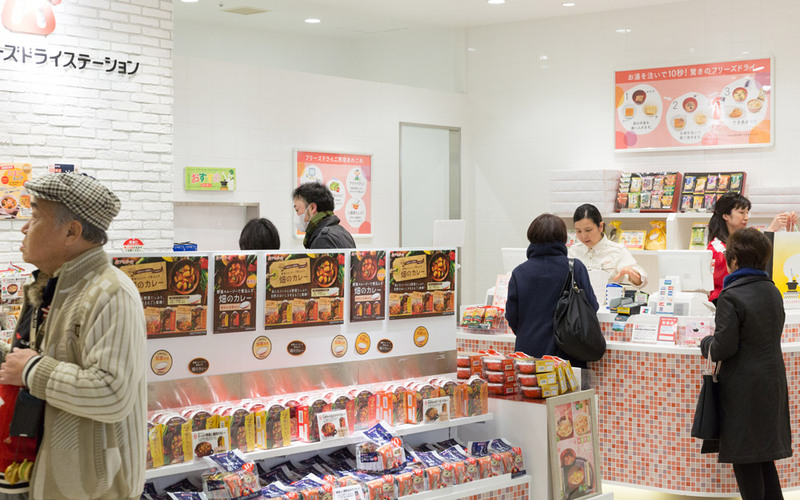 Amano Freeze-Dry Station: Upscale Soup Shop If you think freeze-dried soup can’t be a luxury item, you’re wrong. Tokyo found a way. Near Tokyo Station, there is a massive shopping mall owned and operated by the Japan Post. It's appropriately named KITTE, which in Japanese can mean 切手 (stamp). 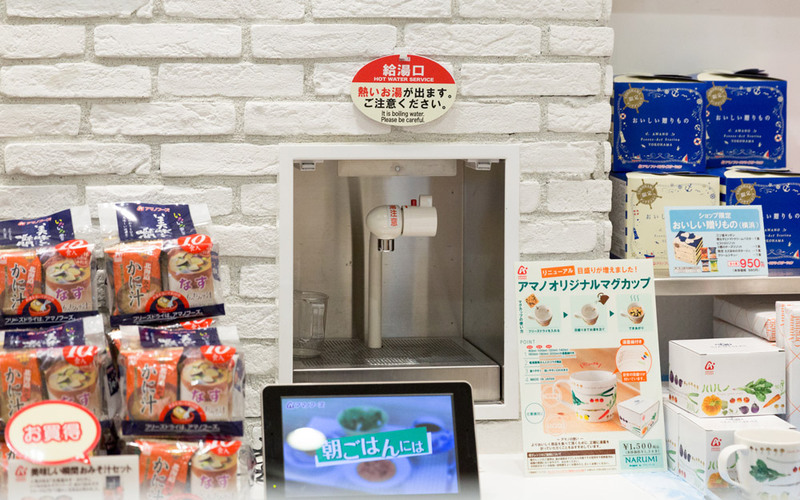 On the basement floor, the Tofugu team came across an interesting boutique: Amano Freeze-Dry Station. We were immediately drawn in by the wall of colorful miso soup packages. They beckoned and we answered. It was a treasure trove of freeze-dried soups unlike we'd seen before. From miso to beef stew to borscht and clam chowder, we felt like kids in a soup store (everyone knows how much kids love soup). We were immediately drawn in by the wall of colorful miso soup packages. They beckoned and we answered. Just when we thought it couldn't get any better, it did. 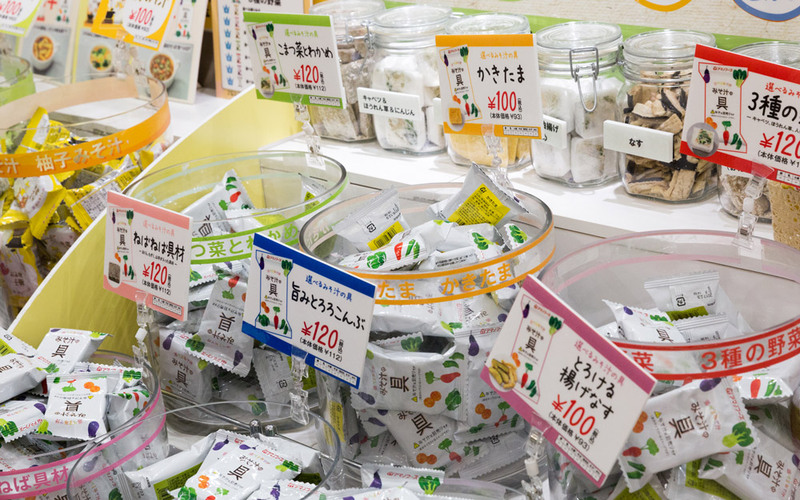 We found the custom miso soup section where you can choose your base and ingredients to make a personalized freeze-dried treat. 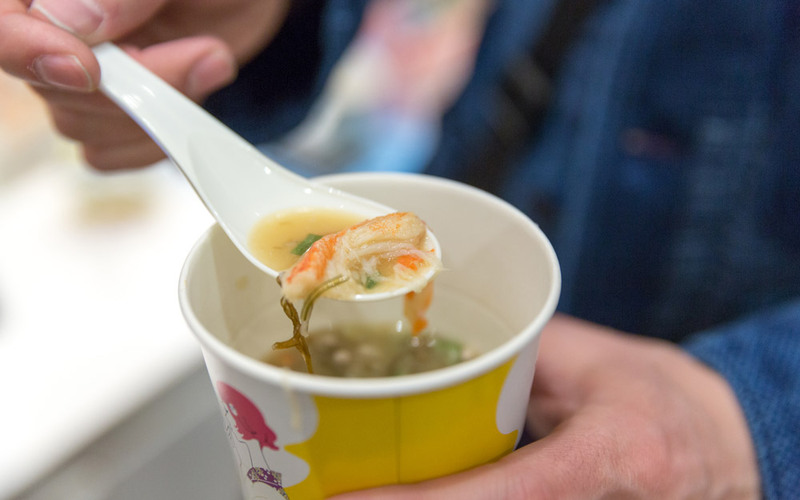 We chose a crab miso soup base and mixed in ネバネバ (sticky) ingredients: mozuku seaweed, okra, and Chinese yam. Apparently this is an unusual combination, because our cashier took a long look at our creation before asking, "Are you sure?" This was all the confirmation we needed. Confident in our sticky crab decision, we paid with our Suica card. To make our experience absolutely perfect, the store had a hot water dispenser and paper cups for customer use. We were able to immediately enjoy our crab miso. Each soup package has preparation instructions, but they're all written in Japanese so start studying that kanji, okay? Of course, if you really don't know what to do, one of the staff will come help you make your soup. After pouring the hot water and waiting a few minutes, we had our sticky crab special. It looks super yummy, doesn't it? Despite the cashier's judgy comments, our concoction was delicious and we recommend you get some for yourself. 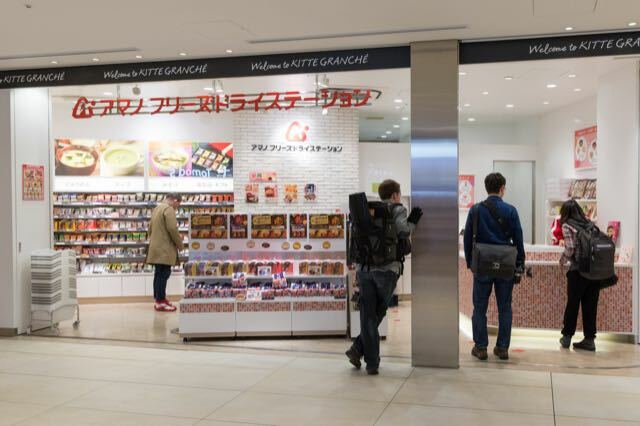 When you find yourself near Tokyo Station, take some time to explore KITTE (it's marvelous in its own right) and hop down to the basement to concoct your own custom soups. If you have extra, give them to friends as omiyage or send them to the Tofugu office. We've been craving that sticky crab soup ever since our first sip. Very handy and reasonable, and there is a lot of variety. I like them. I think dried goods are neat. This place had a lot of them. Neat. Surprisingly good for freeze dried food. I’m going to add to my list of things that Japan is #1 in the world in. Now it has two things on the list: Toilets and freeze dried food.